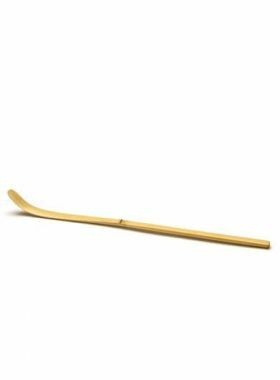 Matcha Whisk Holder, an indispensable part in the Matcha tea ceremony, can not only keep your Matcha Whisk in perfect shape after use, but also extend its lifespan. 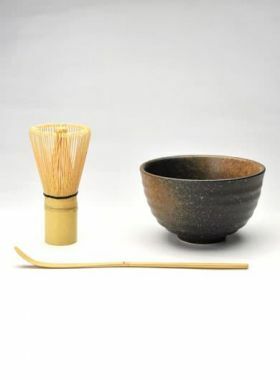 Matcha Whisk Holder, also called Kuse Naoshi or Matcha Whisk Stand, is an important tea set to put and dry the Matcha Whisk. It is hollow in the center, to allow the whisk to dry efficiently and protect it from damage. This TeaVivre selected Ge Yao Matcha Whisk Holder is made of Longquan celadon and fired through high temperature. 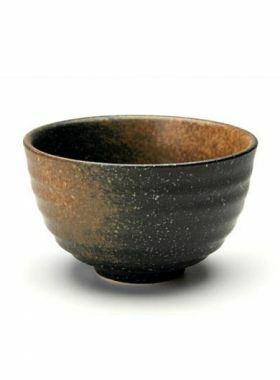 The glaze is bright and smooth, fresh and green, just like Qingmei (green plum), so the color is also called "Mei Zi Qing"; while the cracks on the surface, called “Kai Pian”, is a natural phenomenon of crazing on the glaze, which gives people a unique beauty. 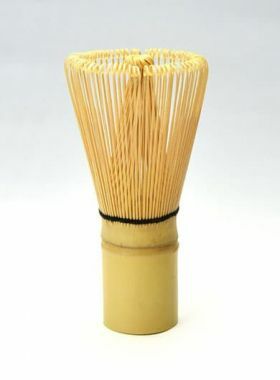 PS: After use the Matcha Whisk, rinse it with clear water and then put on the Match Whisk Holder to dry it naturally. Ge Yao porcelain is one of Chinese Five Famous Kilns – Guan, Ge, Ru, Ding, Jun(官、哥、汝、定、钧), its original kiln factory has not yet been found till now. Porcelains produced here have dark-brown color body and powder blue or beiges color glaze. Moreover, the glaze also has small cracks (also called “Kai Pian”) and the feature of “Zi Kou Tie Zu”. (紫口铁足, the up brim of the porcelain is gray-purple in color and the bottom of the porcelain is iron-brown in color). And this kind of porcelains are called “The Legend Ge Yao”(传世哥窑). 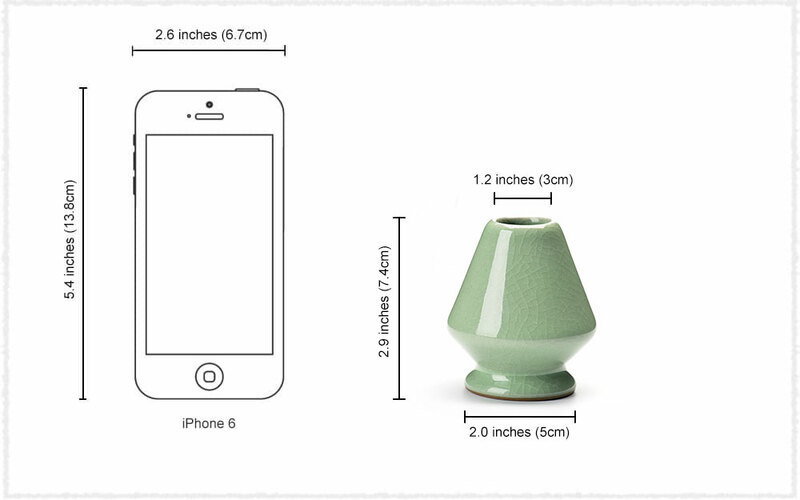 Descendants followed these characteristics to produce similar porcelain and called it “Ge Yao”.